Markets extended their winning streak on Wednesday on the back of strong inflows from foreign institutional investors (FIIs). The mid- and small-cap indices continued to outperform, as investors lapped up shares. This came after valuations turned attractive, following a year of divergent performance with large-caps. The Sensex rose 194 points, or 0.53 per cent, to end at 36,636. The Nifty50 rose 66 points, or 0.6 per cent, to end at 11,053 — the most since February 6. The Nifty Midcap 100 index rose 0.6 per cent to 17,464, the most since January 18. The Nifty Smallcap 100 index gained 0.73 per cent to 6,381, a level last seen on January 11. “We are witnessing a broad-based rally, where mid- and small-caps are leading from the front due to its attractive valuation. We expect the positive bias will continue, while further direction will depend upon upcoming US Fed policy and conclusion of US-China trade agreement,” said Vinod Nair, head of research, Geojit Financial Services. FIIs bought shares worth Rs 1,131 crore on Wednesday, while their domestic counterparts pulled out Rs 878 crore. Overseas investors have been big buyers of domestic equities in the recent weeks. Since February 1, they have pumped nearly Rs 20,000 crore, triggering a sharp rebound in the markets. The Nifty has gained 4.3 per cent from its 2019 lows. 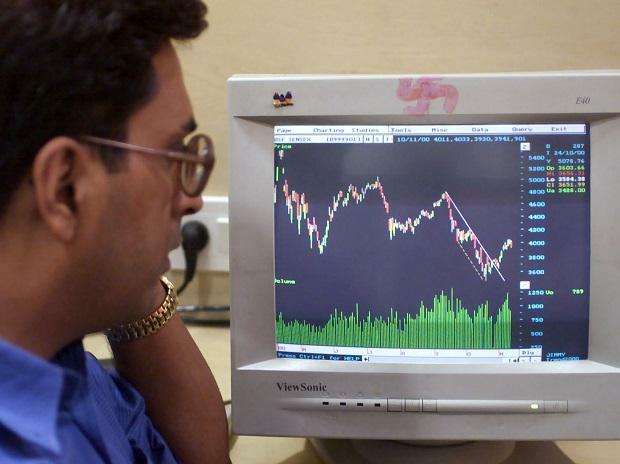 Meanwhile, the Nifty Midcap 100 and Nifty Smallcap 100 indices have bounced 8.7 per cent and 12.5 per cent, respectively, from their 2019 lows. The market breadth was strong for the second straight day. On Wednesday, nearly 1,700 stocks advanced, while only 1,000 declined on the BSE. Of the Sensex 31 components, 17 advanced and 14 declined. Bajaj Finance and ICICI Bank gained the most at 2.6 per cent each. RIL rose 2.2 per cent, and contributed the most to index gain. Shares of Tata Motors fell 2.8 per cent, as investors booked profit following 50 per cent gain from its February lows. Axis Bank, Hindustan Unilever and Hero Motocorp were other major losers, each falling over a per cent.